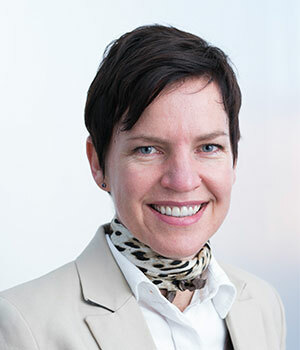 ​Colleen is the managing Director of Reos in South Africa, a global organisation that addresses complex, high-stakes challenges around the world, working wi​th governments, corporations, and civil society organisations. ​ Colleen has worked around the world with clients in areas including food security, municipal climate adaptation, mining safety, and support for orphans and vulnerable children. She has lead multi-stakeholder scenario planning processes in healthcare (national), insurance (short-term insurance and risk in Southern Africa), municipal climate change adaptation strategies (Saldanha Bay, Western Cape), Education (Tanzania) and job creation/local economic development (Eastern Cape, South Africa). Colleen previously managed the Centre for Leadership and Dialogue at GIBS, a platform that aims to build awareness, capacity and involvement in socio-economic issues amongst leaders in South Africa. Previous to GIBS, Colleen co-founded an international learning network of social entrepreneurs called Pioneers of Change and worked for PricewaterhouseCoopers at their global headquarters in New York for two years. Thumbadoo, B., Wilson, G. L., & Magner, C. (Ed.). (2008). Dust to diamonds: Stories of South African social entrepreneurs. Pan MacMillan. Bojer, M., Roehl, H., Knuth, M., & Magner, C. (2008). Mapping dialogue: Essential tools for social change. Taos Institute. ​Magner, C. (2008) Contextual leadership development: a South African perspective. European Business Review, 20(2), pp.128-141. Set up and managed the oversight of Nexus, ImagiNation, Social Entrepreneurship Certificate Programme, and Spirit of Youth – which became the Centre for Leadership and Dialogue at GIBS. Systems Thinking and Social Change (Reos Institute). Working on policy issues of national interest, facilitating dialogue across sectors and in conflict.